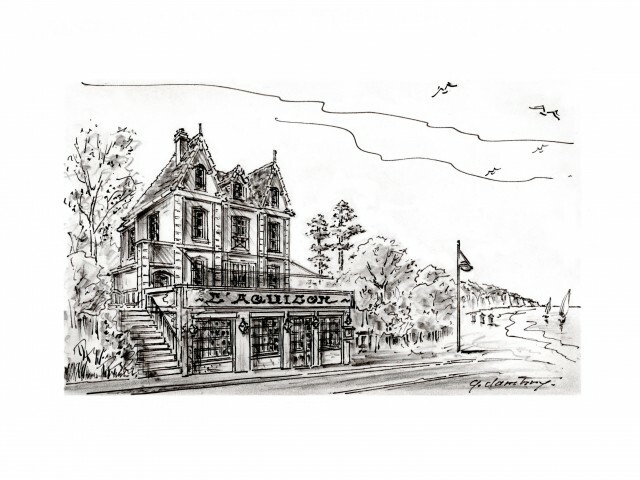 The Aquilon (eg "Trou Normand") welcomes you in a fully renovated, warm and bright. The chef and his team performs dishes according to market products and the nearby tide. Sunny days will result in the opening of the upstairs terrace with panoramic views of the resort of Pourville on Sea. A room of 25 seats on the floor will be privatized to organize lunch and private dinner at your convenience. The beach is bordered by a pleasant pedestrian promenade 700m. Several free parking are available.